Pediatric cardiologist Mark Duster, MD believes international health volunteers “offer a vision of the possible” to their colleagues in resource-scarce countries by providing a glimpse into how increased health workforce capacity and health system strengthening may impact patient care over the course of their careers. “It may not be today, but in your lifetime, you’re going to see tomorrow,” he stated during a recent interview. 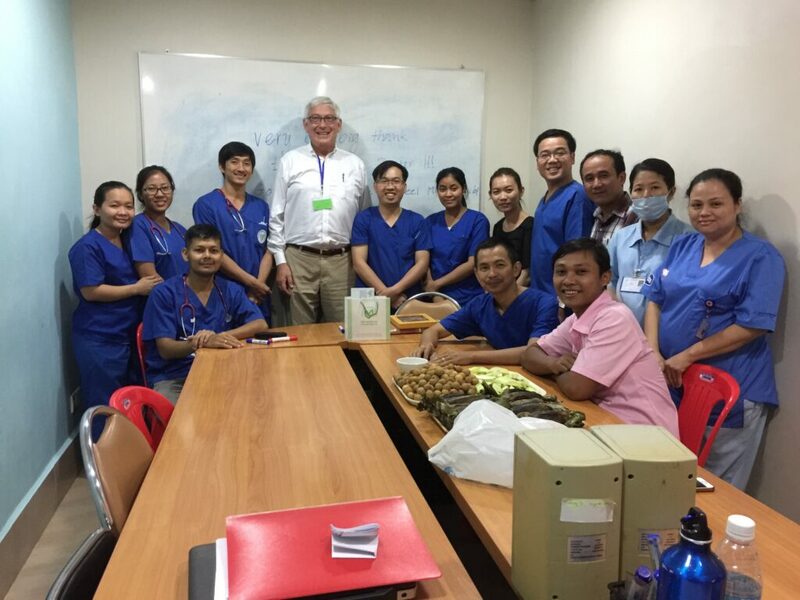 Dr. Duster cultivated this belief over the course of many volunteer assignments spanning more than a decade of service in countries including Vietnam, Laos, Cambodia, and Bhutan. During this time, he has witnessed tremendous growth—both in terms of the knowledge and skills of the providers he has mentored, and in the capacity of the local health systems in the countries where he has served. Supporting his colleagues and bearing witness to this development are two of the most gratifying aspects of volunteering. “Nothing is more rewarding than observing the progress and accomplishments of people that you helped mentor,” he said. 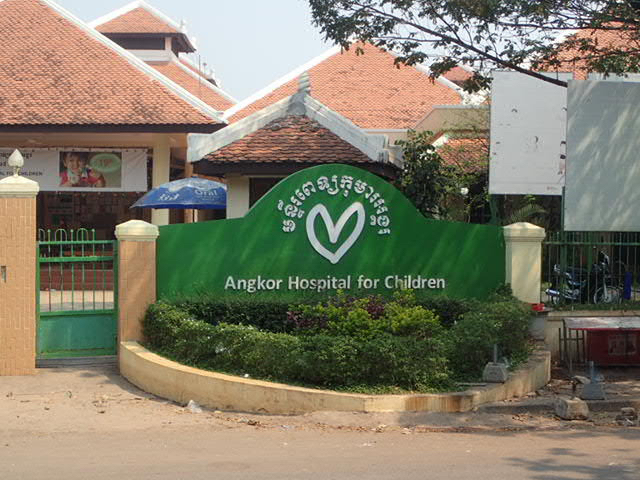 In recent years, Dr. Duster has observed such progress in the career of a colleague at the Angkor Hospital for Children (AHC) in Siem Reap, Cambodia. As an HVO volunteer at AHC, Dr. Duster was asked to mentor a physician in training to become a pediatric cardiologist. While watching his colleague at AHC progress in his career, Dr. Duster has also seen the capacity for pediatric cardiology at the hospital improve. For example, he was present the first and second time providers at AHC used a newly purchased cardiac defibrillator. Experiences such as these led Dr. Duster to the conclusion that part of his role as a volunteer, in addition to helping his colleagues overcome a lack of resources, is to help prepare them for a future point in their careers when more resources may be available. He has witnessed similar advances in pediatric care in other resource-scarce countries where he has volunteered, including Bhutan, where he serves as Project Director for HVO’s pediatric training project in partnership with the National Referral Hospital. This program serves as the initial phase of training for aspiring pediatricians throughout Bhutan. However, Dr. Duster specified that senior pediatric staff at the hospital are also eager to learn from volunteers in a variety of subspecialty areas, including pediatric intensivists, cardiologists, pulmonologists, infectious disease specialists, neurologists, nephrologists and individuals specializing in developmental pediatrics. In addition to sharing his knowledge of pediatric cardiology with colleagues at Bhutan’s National Referral Hospital, AHC, and other institutions in resource-limited settings, Dr. Duster’s volunteer experiences have expanded his global health perspective, and contributed to his own personal and professional development. This bi-directional exchange of knowledge and ideas is not restricted to Dr. Duster’s in-person volunteer assignments. He often fields questions from his colleagues in resource-limited settings via email. The physician he mentors at AHC poses particularly challenging queries. No matter how great an intellectual challenge his colleagues’ questions pose, Dr. Duster remains grateful for the opportunity to serve as a teacher and mentor to his counterparts in resource-scarce countries. Want to join Dr. Duster and other HVO volunteers who are making a difference in the lives of health care providers and those in-training in resource-scarce countries? In addition to Bhutan and Cambodia, HVO is currently recruiting pediatric volunteers for projects in Laos, Uganda, and St. Lucia. Assignments range from two-to-four weeks in length. Fully licensed and trained pediatric providers, and residents accompanied by an appropriate preceptor, are eligible to apply by completing the volunteer application. HVO’s pediatrics program is supported by the American Academy of Pediatrics.